2006 Vatican City gold coins on the sacrament of Confirmation. 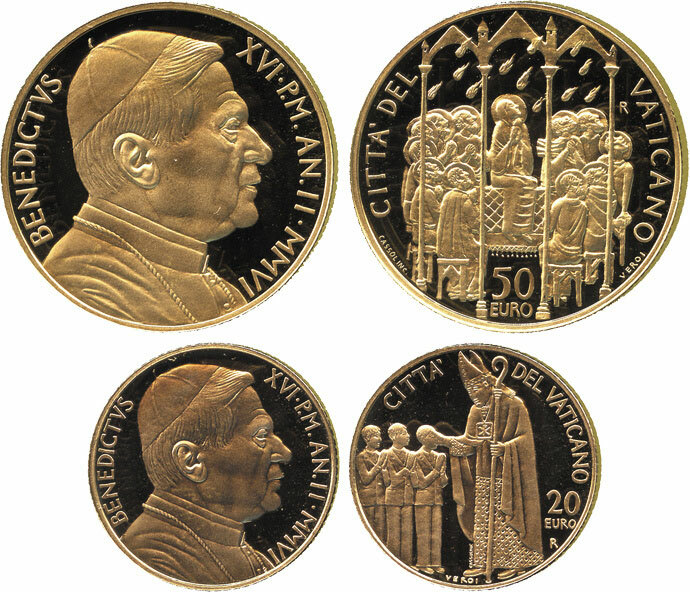 The 20 Euro coin depicts a bishop and the laying of hands to receive the gift of the Holy Spirit. The 50 Euro coin depicts the Apostles and the Virgin receiving the Holy Spirit at Pentecost. Mintage of 3,326. Perfect condition with original plush cases and certificates. Sculpted by Guido Veroi.